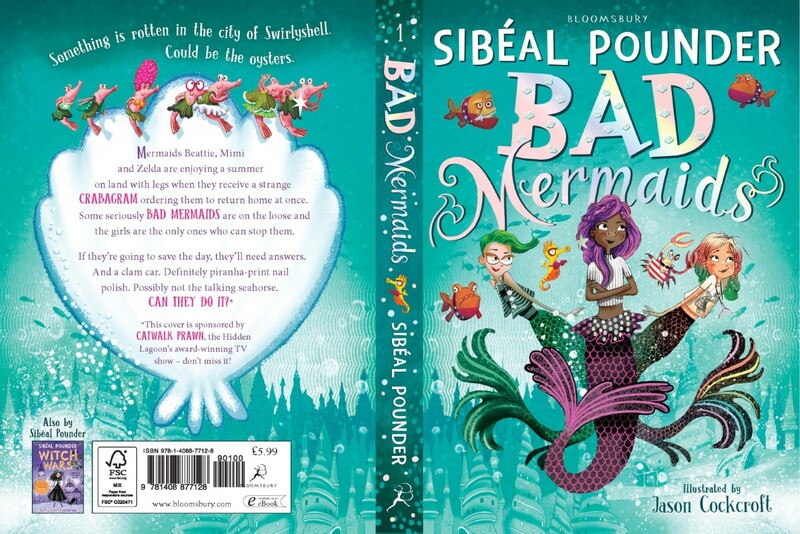 Me and my daughter are huge fans of the ‘Witch Wars’ series, so I’m really excited to be sharing with you today the cover of the first novel in a brand new series from Sibéal Pounder with illustrations by Jason Cockroft, ‘Bad Mermaids’ will be published on the 1st June 2017 by Bloomsbury Publishing. Wow what a gorgeous cover, it definitely gets the seal (no pun intended) of approval in our home. I love the bold use of colour in the cover design and Jason Cockroft’s illustrations have really captured the fabulously feisty spirit of the story. This is the kind of cover which will stand out on a display and demand to be picked up and read. I’m intrigued to find out more, so let’s find out why our mermaids are so bad! Something is rotten in the city of Swirlyshell. Could be the oysters. If they’re going to save the day, they’ll need answers. And a clam car. Definitely piranha-print nail polish. Possibly not the talking seahorse. 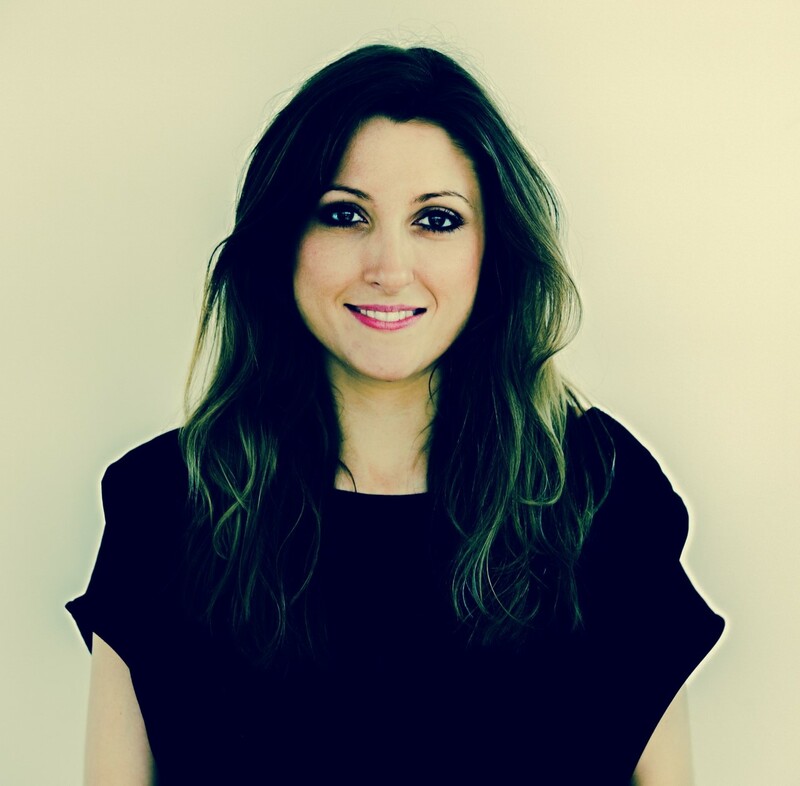 Sibéal Pounder used to work for the Financial Times, where she researched the How To Spend It section and wrote the For Goodness’ Sake column – interviewing everyone from Veronica Etro to Vivienne Westwood. Now she writes about fabulous witches and feisty fairies in Witch Wars, her much loved series for Bloomsbury. Sibéal’s first book, Witch Wars, was shortlisted for the Waterstones Children’s Book Prize 2016. A huge thank you to Lizz Skelly and Bloomsbury for inviting me to reveal the cover of this fantastic new book, I can’t wait to get my hands on a copy. This entry was posted in Uncategorized on January 27, 2017 by bookloverjo. At school there seems to be a high demand for two types of genres ‘mystery’ and ‘funny’ and Radio Boy from Christian O’Connell seems to tick both boxes so I can see it being a huge hit with the children at school. When Spike gets fired from hospital radio it seems like his dream of becoming a Superstar DJ is in tatters. But undeterred and with the help of his dad and his two formidable best friends Artie and Holly he launches a new show, under the secret identity of Radio Boy. Radio Boy becomes an overnight sensation with its witty and rebellious format, but fame has it’s problems. 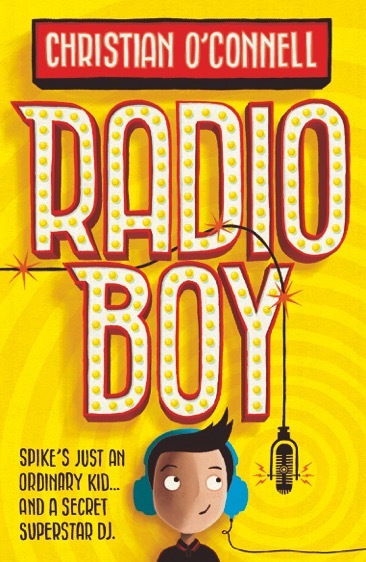 Spike’s life begins to slowly unravel when he decides to make an enemy of his headmaster ‘Fish Face’ who is determined to discover just who is Radio Boy. With everyone set against him, can Spike keep his identity a secret? This is a hilarious debut from Christian O’Connell it genuinely made me laugh out loud and cringe inside as Spike goes out of control as fame goes to his head. I loved how Spike is able to achieve what he wants because he has a teacher who believes in him and a Dad who refuses to let him give up the opportunity to pursue his passion, because a twist in fate meant he’s now a supermarket manager instead of the rock star he wanted to be. The love for music shines through this book in the fabulous soundtrack provided by Artie’s amazing vinyl collection which complements the storyline perfectly. A great cast of believable character has been assembled in this story but my personal favourite is Holly she’s smart and feisty I could easily see her running the country with ease and an exact timetable. Just when you think it can’t get any better, Rob Biddulph comes along and sprinkles magic throughout the book with his brilliantly funny illustrations which give this book a real edge. A huge thank you to FMcM and Harper Collins for sending me a copy of this hilarious book. This entry was posted in Uncategorized on January 26, 2017 by bookloverjo. Okay before I start this review I have a small confession to make…..at school I had a slight obsession with Classical Studies and I was the only one of my year group to opt to study Latin at G.C.S.E. Obviously then it was with much excitement that I got my hands on a copy of Maz Evan’s ‘Who Let the Gods Out,’ where Greek Gods meets modern day life in a story that will have you laughing and crying in equal measures. This hilarious, bonkers adventure stuffed full of heart and an unstoppable energy had me captivated from the first chapter. Elliot has a secret. His mum has been really unwell, she is becoming increasingly confused and forgetful, while he has just about been coping in looking after her and himself on his own, fearful that the truth may be uncovered. Especially with their evil neighbour becoming increasingly nosy as she is determined to stop at nothing to get her wicked hands on their farm so she can make a huge profit out of their misery. For Elliot, life is becoming increasingly desperate and solitary. But then fate lends a helping hand when a shooting star, namely Virgo a young goddess crashes to earth changing his life forever. Unwittingly he finds himself caught up in Virgo’s mission and after accidentally releasing the death daemon Thanatos they have to call upon the old Olympian gods for help. The gods descend upon Elliot’s farm bringing chaos and comfort but after centuries of cushy retirement will they be up to the task of defeating Thanatos? Maz has assembled a magnificent cast of characters worthy of the most extravagant feast in this riotous tale. Elliot makes my heart bleed, I feel desperately sorry for him as he isolates himself for the sake of survival. 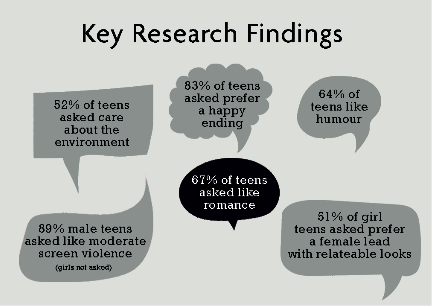 It highlights how difficult it can be for young carers but this is just one element of the story. As the gods take over the farm bringing nourishment and soft furnishings (with an occasional piece of MDF) to the lives of Elliot and his Mum you see that friendship and support make them both stronger, despite the fact that carnage is unfolding around them. The gods are just brilliantly entertaining. Zeus ever the ladies man, managing to double book his wedding, Aphrodite running a match making agency and Hermes obsessed with taking selfies and downloading apps on his iGod. Ironically they have become almost the same as us ordinary mortals. The plot is fast and furious and will grab your attention and hold you in its grasp till the very end, then infuriate you (in the very best of ways) by sneaking in a final cliff hanger to ensure that you are desperate to come back for more. 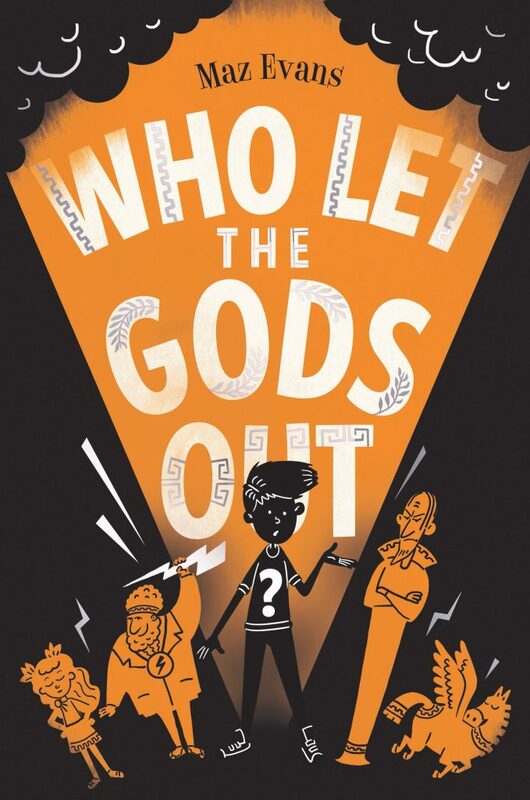 If you want to laugh out loud, sob quietly and be swept away on a madcap mayhem of an adventure, then ‘Who Let the Gods Out’ is the book for you! Thank you to Chicken House for sending me a copy of this fabulous book. This entry was posted in Uncategorized on January 25, 2017 by bookloverjo. Elektra James is back in the brilliant sequel ‘Waiting For Callback: Take Two’ and life is looking up for our aspiring actress, who has landed a starring role in an actual blockbuster film and nearly become the girlfriend of her massive crush Archie. True to form things don’t always work out quite like she imagined it! With a hessian cloth for a costume and Archie away filming a teen vampire movie surrounded by beautiful ladies, Elecktra’s dream summer is turning into a major nightmare. Warm, witty and filled with hilarious highlights this is a real treat of a book. And on a personal level please can Eulalie adopt me she really is the most glamorous, gorgeous grandmother, I will even forgive her for having way more Twitter followers than me! 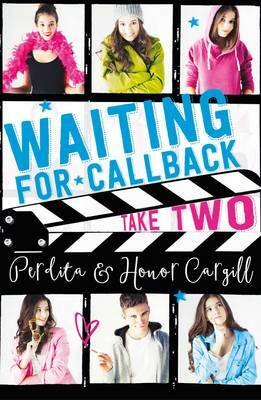 I am delighted to welcome the lovely Perdita and Honor Cargill to the blog today as part of the ‘Waiting For Callback Take Two’ blog tour. It’s Day Two of our Take Two blog tour and we’re talking about Scouting – well, how we researched Take Two and how (because our plot, our characters and the laughs will always come first) we played fast and loose with what we learned. We probably don’t want to add up how many hours we watched of behind the scenes footage of movies like The Hunger Games and Lord of the Rings but A LOT. There’s more basic stuff on the web too like maps and plans and photos of the big studios (including dressing rooms with Those lights around the mirrors – something Elektra gets borderline overexcited about). Basically we on-line stalked the studios. We also had some fun researching the movie business elements that we put into things like the slides in chapter 3. The more we researched this world, the more confident we were that no matter how mad we went we’d be credible in spirit if not in every detail. And sometimes we intentionally went for something a little different. Not just when we took things further on set than any competent director would have put up with (poor Havelski!) but, for example, we didn’t use the full standard film script format. Our script segments are very much part of the story and important to the plot and we didn’t want to risk them being jumped over so we went for a compromise style that sat more easily with the rest of the text. It felt right. We read some great books in the name of research and, to get those A-list diva details right, a regular supply of celebrity magazines – we possibly did more ‘research’ there than we strictly had an excuse for. Thank you Jo for hosting us! 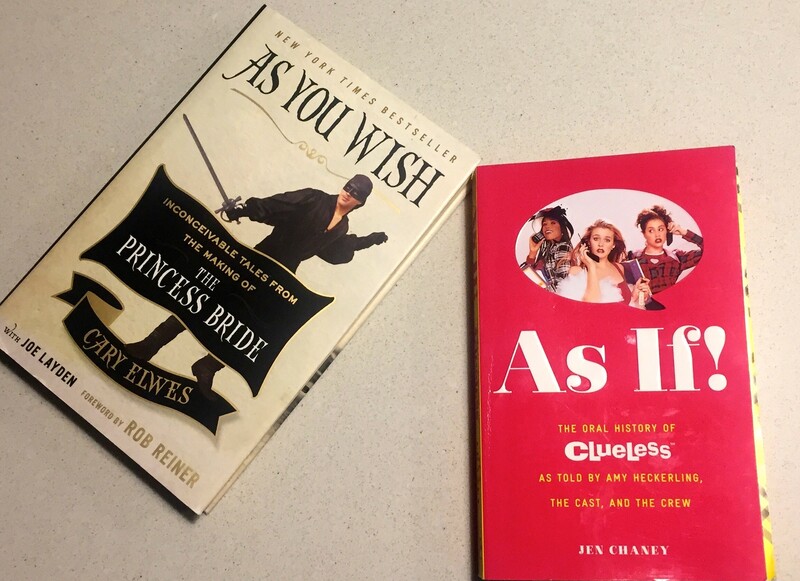 Tomorrow we’ll be chatting about Casting (fantasy casting, yay!) over on Jim’s blog YaYeahYeah come and join us! 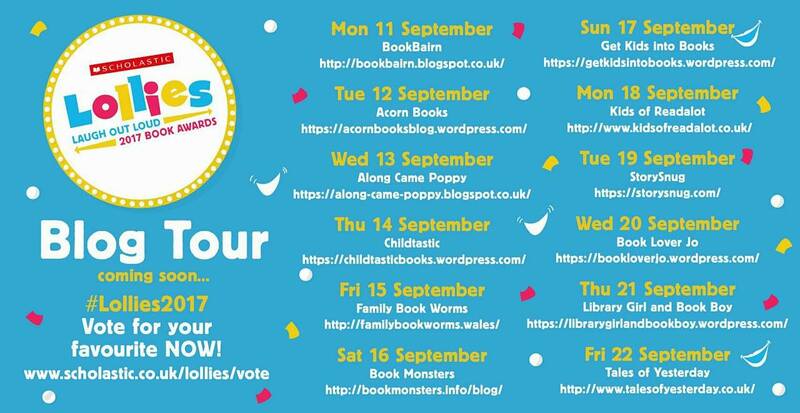 Why not join in with the rest of the blog tour with more fantastic guest posts and an extract from this brilliant book. 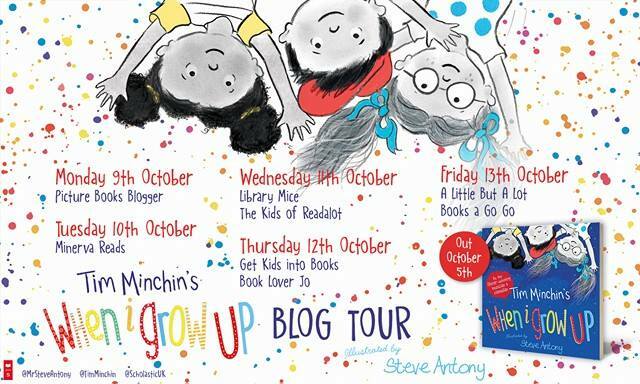 Thank you to Perdita & Honor for a fantastic guest post and thanks to SImon & Schuster for sending me a copy of this fab book and inviting me to be part of the blog tour. This entry was posted in Uncategorized on January 24, 2017 by bookloverjo. 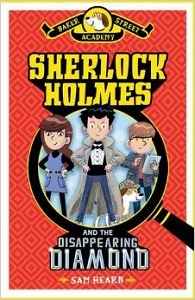 Sherlock Holmes and the Disappearing Diamond, by Sam Hearn, is the first book in an exciting new mystery series which will test the skills of aspiring young detectives. John Watson has only been at the Baker Street Academy for five minutes when he meets the eccentric, super-brained mind reader Sherlock Holmes. True to form, Sherlock manages to deduce John’s name, what he’s had for breakfast and the fact he has just been on a long journey. Bemused but intrigued, John finds that being friends with Sherlock inevitably leads to being caught up in dramatic adventures. 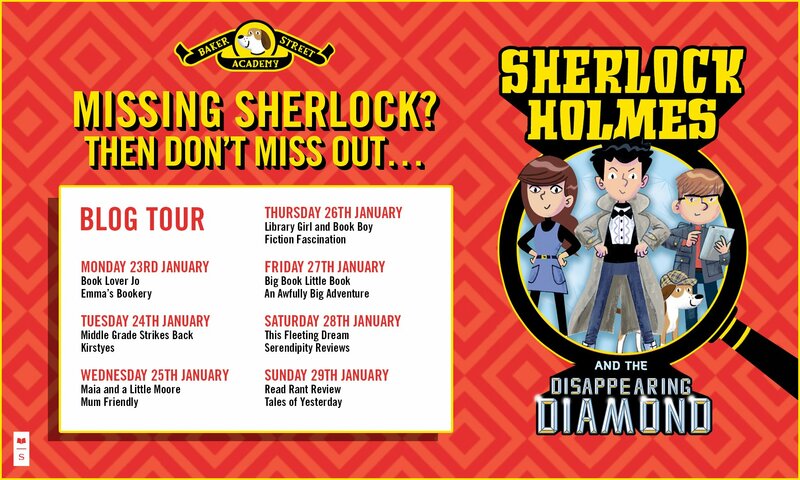 So, when a diamond goes missing during a school trip to the museum, our determined duo find themselves with a case to solve. Capturing all the essential components of a Sherlock mystery, it contains plenty of nudges to the original stories to satisfy the most ardent of fans. Hearn manages to keep you entertained, scattering throughout a number of red herrings to confuse and distract you from uncovering the true culprit. Told in a graphic-diary format, and packed with doodles, jokes and detective notes, this is a wonderfully accessible book which will appeal to even the most reluctant of readers. A lively, engaging read that will appeal to key stage 2 children, it has already proved to be a huge hit with the children at my school. 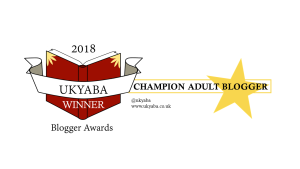 Why not join in with the rest of the blog tour. A huge thank you to Faye Rogers and Scholastic for inviting me to take part in this blog tour. This entry was posted in Uncategorized on January 23, 2017 by bookloverjo. I am delighted to welcome Simon Philip & Ella Bailey to the blog today to chat about their key inspirations when writing and illustrating. ‘I Don’t Know What to Call My Cat’ arrived at just the right time in our house as we were about to get a new addition to our family, a new kitten. After much deliberation and scouring the book for ideas we eventually settled on Luna after one of our favourite book characters. 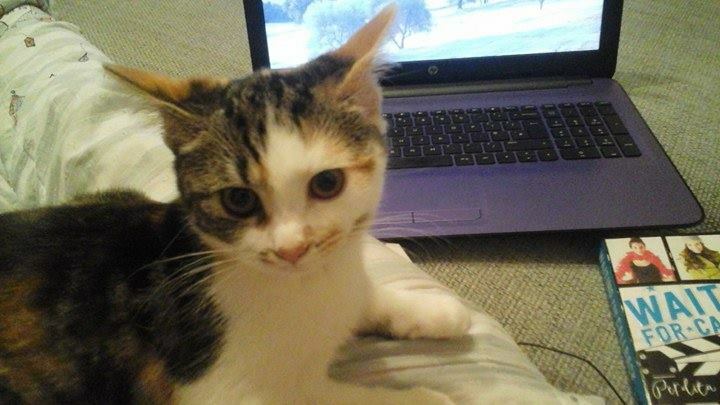 As you can see she is very helpful when I’m blogging! Every writer works differently, but most would probably agree that inspiration is everywhere. I guess that finding inspiration is a mix of actively searching for it; being aware of the world around you and what’s going on in front of your eyes; asking lots of questions about things; and spotting the potential for a story wherever you can. Oh – and luck, of course! I’m sure many writers have their own tried-and-tested process for generating hundreds of ideas that works every time. I don’t, so I’m a little envious of those who do. If I’m honest, one of the things I find most challenging about writing is coming up with ideas in the first place; once I have one, I find the actual writing-a-story-bit much more straightforward. However, when I set my mind to it – and that’s a big part of the process for me, being in the right frame of mind – I normally manage to come up with something that’s at least worth getting down on paper. I love books, particularly picture books – reading them, writing them, buying them, and I’m building up a nice collection. I often find that just immersing myself in the world of picture books, reading new books or those I’ve read many times before, can help to spark an idea. Searching through daily papers can be a great way to find interesting or unusual articles or photos that lend themselves to being turned into a new or different take on a story. Unbelievable but true stories feature more frequently than you might think, and are often perfectly suited for a picture book; the sort of articles where you think, “I couldn’t imagine or write this stuff up if I tried,” and then you do exactly that! This one’s fairly straightforward. Let’s face it – people are weird. I’m weird. You’re weird. It’s just a fact of life. But some people are weirder than others, and they often make great characters or induce situations that make great stories. Like the man walking a cat through town on a lead. Golden. Sometimes, inspiration just strikes out of nowhere – like a sentence or phrase popping into your head that’s crying out to be a story. Even better if that sentence is already a problem in itself. 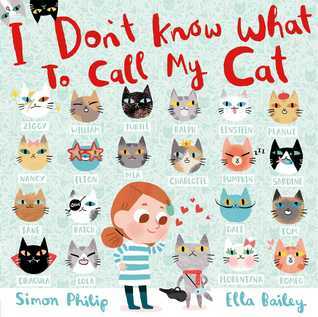 My cat book, for instance, literally began with the words ‘I Don’t Know What To Call My Cat’ popping into my head. I don’t even own a cat! This is, quite literally, the stuff of dreams. When you wake up from a dream – usually one of those super-vivid, early morning dreams when you’re flicking in and out of sleep – to find you’ve remembered all of it, and a fully formed idea for a story is ready to be written down. This has happened once to me, and if the story I wrote from it ever gets published, it’ll definitely be the best dream I’ve ever had. Nightmares can also be good inspiration, but less child-friendly. Whenever I begin to feel the dreaded shadow of ‘artist’s block’ looming over my head, I try to tear myself away from my desk, and look towards some of the people and things that inspire me most. The first things (and people) that come to mind, are, perhaps unsurprisingly, books and their illustrators! I have a very tightly crammed bookshelf right by my desk, which is inevitably the first place I turn to when I am feeling the need for a little bit of creative inspiration. Artists such as Mary Blair, Miroslav Sasek and Alain Grée, have had a huge influence on my work. Childhood favourites, such as Judith Kerr’s The Tiger Who Came to Tea and the Madeline books by Ludwig Bemelmans, are important to me as well. For more contemporary illustrators, I love the ethereal artwork of Jon Klassen, and the gentle illustrations of Isabelle Arsenault, Marc Boutavant, Oliver Jeffers… I could keep this list going for a very long time! 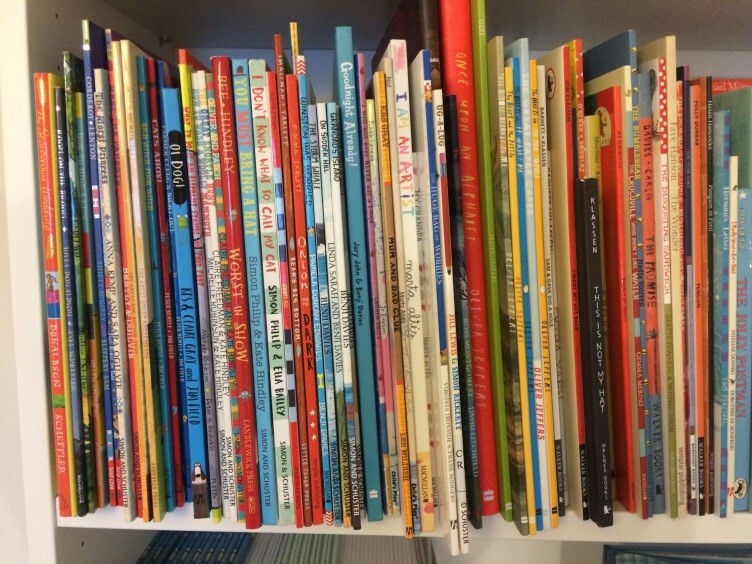 I grew up in a house full of picture books, so it is no wonder that they have had such a huge influence on me. Other than illustration, another big source of inspiration for me is films – especially animated ones! Growing up, I was a BIG Disney buff, and watching The Little Mermaid and The Lion King, over and over and over again, was part of my weekly routine. My love of animation is a big part of what inspired me to become an illustrator in the first place. I also admire the films from Studio Ghibli – I still remember the awe I felt the first time I watched Spirited Away. Not only are the films aesthetically beautiful, but the stories are so wonderfully magical, surreal and often serene – they have a certain feeling I always aspire to capture in my own work. I am a big animal lover, so the natural world is another area that I use to inspire myself. Living in the city, nature is not so easily accessible first hand (other than the magpies who like to squabble outside my window), but I try to find time to watch nature documentaries (everything David Attenborough! ), and again, I have a lot of books about animals! Naturally, I am always on the lookout for things and ideas that I can incorporate into my illustrations, so a lot of my inspiration simply comes from the world around me – places I have been, and people that I know. Sometimes, all the inspiration I need is simply right under my nose! 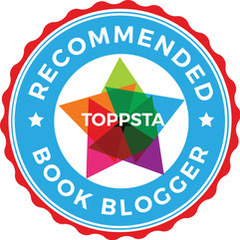 A huge thank you to Simon Philip and Ella Bailey for stopping by the blog today and to Simon & Schuster for inviting me to join the blog tour and sending me a copy of this fabulous book. Why not join in with the rest of the tour! This entry was posted in Uncategorized on January 17, 2017 by bookloverjo. I’m a huge fan of illustrated fiction books, they are perfect for newly confident readers allowing them to gain confidence without being overwhelmed by pages of text. Here is my round up of my favourite recent releases all guaranteed to enthral and entertain younger readers. They would make wonderful additions to any primary school library. Meet Dorothy Constance Mae Louise (or Dot, as she prefers to be called) who, along with her trusty sidekick Beans and faithful hound McClusky, is always ready to unravel a mystery. 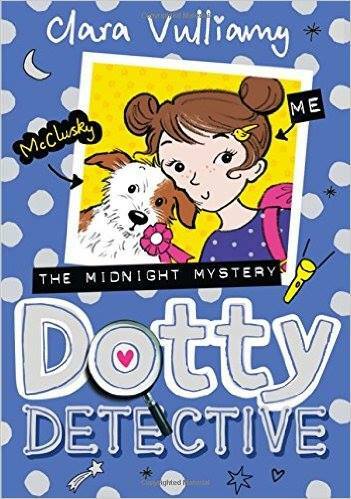 In ‘The Midnight Mystery, Dot and Beans can’t wait for their school trip to Adventure Camp where they will do lots of exciting activities like zip-wiring, grass tobogganing and roasting marshmallows round a campfire! But once they arrive, strange things start happening. Could mean girl Laura could be up to her old tricks in a bid to win the Adventure Camp Prize? It’s up to the Join the Dots Detectives to find out! Clara Vulliamy has created endearing characters who are really appealing to children. Who could resist the wonderfully inquisitive Dot, with her sense of adventure and her knack for getting caught up in the most intriguing of mysteries? Dot’s family are slightly chaotic and funny: her mischievous twin brothers who have a fondness for getting into trouble and her mum who is always convinced they will be late for everything. Both children and parents will appreciate the warmth and humour which shines out from this series. I especially love that the books are an interesting mixture of diary entries, doodles and pictures. You really feel that you are getting a sneak peek into Dot’s real-life notebook. Clara’s illustrations are lively, witty and full of energy, a wonderful addition to this delightful series. 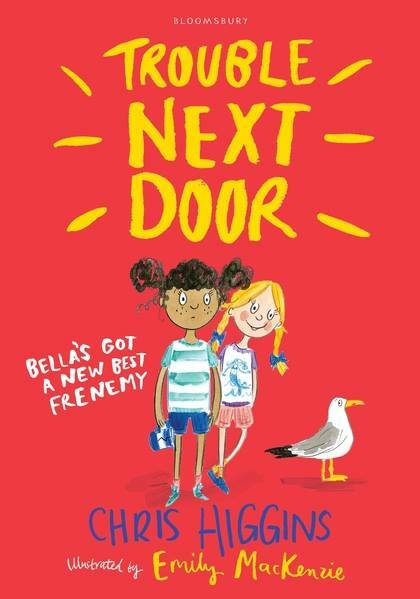 It was with much anticipation that we read ‘The Trouble Next Door’ having been huge fans of Chris Higgin’s ‘My Funny Family Series’ and we can safely say we weren’t disappointed, it’s just fabulous. Bella and her family have just moved into a new (but old) house much to her disappointment, the countryside isn’t what she expected and she is far away from her friends. But when she discovers a girl the same age living next door, Magda, she begins to think things won’t be too bad after all. The problem with Magda is that trouble seem to follow her around yet she never seems to take the blame. Poor Bella keeps finding herself told off because of the troublesome girl next door. 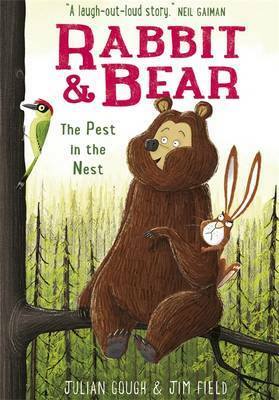 Rabbit and Bear are back in another laugh out loud adventure full of humour and wisdom. 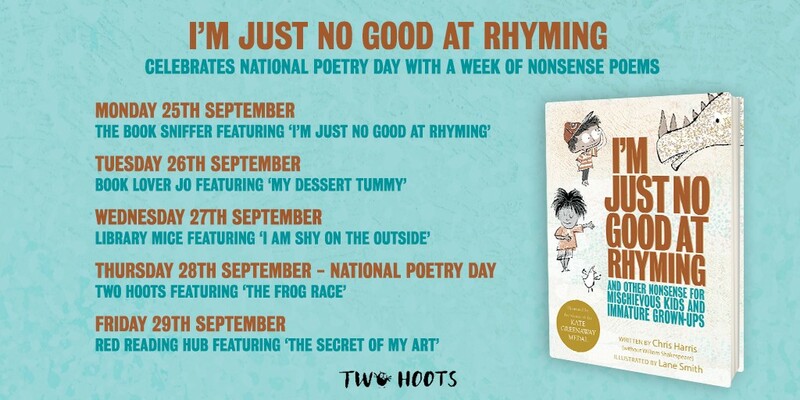 I adored ‘Rabbit’s Bad Habit’s and ‘The Pest in the Nest’ is equally marvellous. It’s Spring and Rabbit is woken up by the incessant snores of Bear which is driving him crazy. Seeking peace and quiet he retreats to his burrow only to be disturbed by a BANG, BANG, BANG! noise from the tree above. Rabbit is enraged, something must be done about this noise. But it’s only Rabbit who has a problem and it’s up to his friend Bear to try and show him how to see the world differently. Julian Gough has created a story that is incredibly witty and clever. We’ve all had days where we feel angry at anything and everything in the world for no apparent reason and it shows children that just a change in perspective can make a huge difference. There is something so comical about Rabbit’s fury at being disturbed, it’s totally irrational yet understandable at the same time. The book itself is a joy to behold. Jim Field’s exquisite illustrations are filled with humour and beauty. I particularly love how he portrays the mood of the characters through his brilliant expressions and then surrounds them with stunning landscapes in a soothing green palette. An absolute treat of a book, a truly genius collaboration, I loved it! Meer Sam Lyttle who has a small problem in his life. Well no that’s not exactly true, he has a GINORMOUS problem that keeps getting him into trouble, but he is most definitely not a liar – honestly! To be frank he does sometimes tell the odd porky-pie. And occasionally he has been known to streeeeetch the truth. But the truth, well it’s complicated isn’t it? Sometimes Sam find it really is much easier to tell a lie. 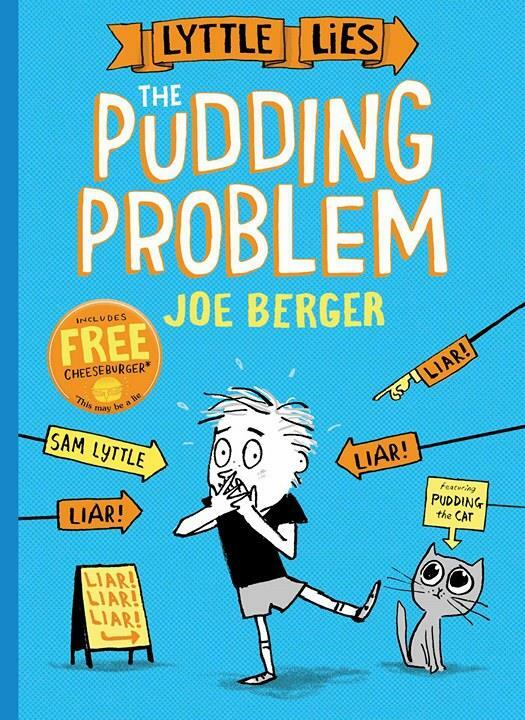 I’ve been a huge fan of Joe Berger’s illustrations since I first saw them in Tracey Corderoy’s marvellous ‘Hubble Bubble’ series so I was intrigued to read ‘The Pudding Problem’. Sam has the most incredible, far fetched imagination and I love how Joe portrays the workings of his mind through hilarious illustrations. We see Sam literally and metaphorically trying to dig his way out of a lie and finding himself at the bottom of a rather large hole as a result. It is filled with subtle humour like the calculator with 5317 618 his Mum is holding which if you look at upside down spells ‘BIG LIES’. This is an incredibly appealing story and the mix of comic strips and text will engage and entertain even the most reluctant of readers. A huge thank you to Bloomsbury, Hodder and Simon and Schuster for sending me copies of these fantastic books. This entry was posted in Uncategorized on January 15, 2017 by bookloverjo.